The ministers will discuss the strengthening of partnership between the countries. Ukraine's Foreign Minister Pavlo Klimkin will hold a meeting with his newly-appointed Polish counterpart Jacek Czaputowicz in the near future. "I personally congratulated new Polish counterpart Jacek Czaputowicz on the appointment. We have agreed to meet soon. 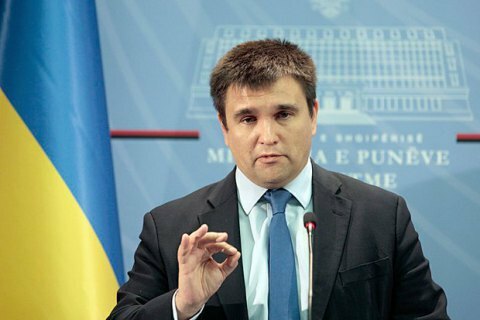 We will discuss the strengthening of strategic partnership, including cooperation in the UN Security Council, where Polish friends took over the baton of membership," Klimkin tweeted on 10 January. The minister did not give the exact date of the meeting. Earlier in the day, the foreign ministers of Ukraine and Romania met in Chernivtsi.